MEET FELICITAS Felicitas comes trekking up the hill, her manta woven of the brightest yarn, and her montera covered in sequins and flowers glistening in the sun. Confident, and with a broad smile she approaches me, reaches out her hand to take mine before I’m even aware she knows who I am. I’m not used to such exuberant social confidence from the women of our Quechua communities, but right off the bat I can tell something about Felicitas is different than the other women in our partner cooperative, Songuillay. Felicitas joined the cooperative this year as part of a cohort of young women who are educated and speak fluent Spanish. Awamaki requested that the cooperative add these young women to help the cooperative connect with other customers for their weavings and their community tours so that they can build a sustainable business and graduate the group from Awamaki’s program. As Awamaki Marketing and Communications Coordinator, I was sent to chat with her and get to know a little more about what has brought her so much success in life, so young. Felicitas is an energetic 21-years-old, and she exudes an “I can do anything I want to” mentality, like any young adult. She was born and raised in the rural Quechua community of Patacancha, a mere 45 minute car ride away from Ollantaytambo, and yet seemingly another world entirely. The eldest of six daughters, Felicitas explained to me the pressure she felt to be an example to her sisters, and to show them what was possible in this world. parents and be an example to my siblings.” With the support of her family she left her community for three years as she attended an institution in the nearby town of Urubamba to establish a career in tourism. Felicitas is passionate about staying and living in her community again, and using tourism as a way to preserve their local cultural customs and traditions. “Before my goal was to finish my training program, but now that I have, I haven't earned my degree, so this year I want to do that,” Felicitas explained while talking about her goals for the future. A final project, and a presentation at the institution in Urubamba is all that stands in her way. From there she is eager to work in experiential tourism, and eventually start her own tourism business in the area. “My mom has always had to work so hard to support for us, and I saw my siblings and I knew I wanted to someday start my own business.” Felicitas knows that starting her own small business based on the trainings she’s completed will help her to support her younger siblings and ensure that they find success in their educations in the same way that she has thus far. This is the cycle of empowerment at Awamaki: from Felicitas’ mother, Fortunata, to Felicitas, and now continuing on with her younger sisters. As Felicitas and other young, educated artisans join our cooperatives, they will be able to increasingly connect their fellow artisans to outside markets, on their own terms and for the benefit of their families and communities. We at Awamaki are very excited to see the benefits of empowered and educated women continuing on toward the next generation, and we are honored to be working with so many women who are as inspiring and joyful as Felicitas. partners. With the money they make, they support 70 children and disabled or elderly adults in their homes. Rumira’s graduation gives us the capacity to begin working with new cooperatives and allows us to direct our energy into empowering even more women from the Sacred Valley. This year we have added a new group of spinners and knitters both in the community of Huilloc, something that we wouldn’t have the capacity to do without the anticipation of Rumira’s graduation. This recent expansion brings the total number of artisans in our partner cooperatives to 168 women. Thanks to the support of all of our donors we are able to continue our work everyday towards more graduation ceremonies like Rumira’s and continuing to grow and expand the communities with which we work! 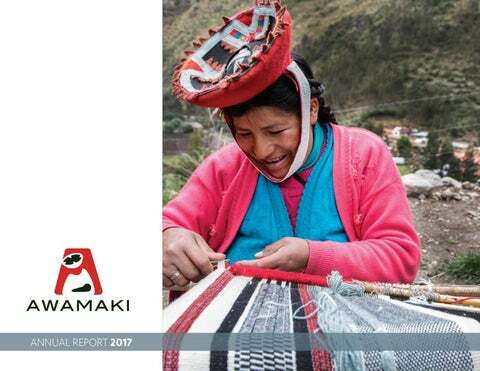 Note on financial statements: Awamaki U.S. is a U.S.-based 501(c)(3) non-profit responsible for raising funds to support the Awamaki goal of creating economic opportunities for rural Andean women. 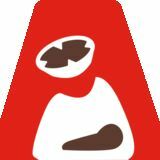 The Asociacion Civil Awamaki is a Peruvian non-profit civil association responsible for carrying out womenâ&#x20AC;&#x2122;s empowerment programs in Peru. Read on to learn about Awamaki's accomplishments in 2017.